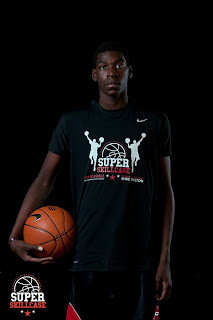 The #1 8th Grader in the region and one of the top forwards in the country Nazi Reid will return to the Super Skillcase. Reid was awarded Basketball Spotlight 7th Grade Player Of The Year will dominating the competition throughout the country. Now he will start this season out at the famed Super Skillcase along with some of the other top players in the country. Do you have what it takes to slow down Nazi? If so join him at the best skill and exposure showcase in the country.